We are one of the prominent suppliers of 2-Ethylhexanol, which is produced industrially by Aldol condensation ofÂ n-butyraldehyde, followed by hydrogenation. 2-Ethylhexanol, we supply is a fatty alcohol which is an organic compound used in the in the production of varied products. Colorless in nature, 2-Ethylhexanol is a clear liquid that is insoluble in water, but easily gets dissolve in organic solvents. 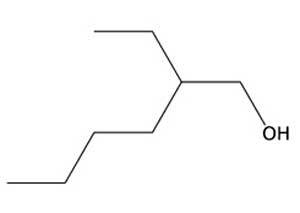 With easy convergence in esters, 2-Ethylhexanol can be used for various purposes. We are supplying premium quality 2-Ethylhexanol which is a flammable liquid above 60oC.